Things are heating more and more up in the Champions League. When this week is over, only the best of the best will remain in the competition. Ahead of this week’s action, adidas have spoken to some of the biggest stars about the pressure of hitting the deciding penalty, as well as also taking a sneak peak at Messi’s new Pibe de Barr10. Nothing above and nothing beside it. The Champions League is without a shadow of doubt the one club competition every footballer dreams of winning. However to make it to the very top, you have to beat the best. 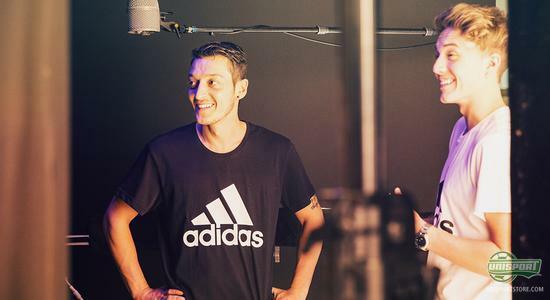 In today’s episode of adidas GamedayPlus Roman Kemp and Layla Anna-Lee speak to stars like Mesut Özil, Diego Costa, Steven Gerrard and Luis Suarez about the pressure you feel, when playing in the prestigious tournament. And ohh yes, lest we forget, we also get a glimpse of Messi’s new football boots, which he will wear, when Barcelona take on Manchester City tomorrow. Adidas gamedayplus has throughout the entire season been in close contact with some of the biggest football stars and we have really gotten to know them and their personalities a little better. Which one of adidas’ stars do you dream of meeting?